How Does Winter Weather Affect Landscaping? Wind can cause damage in any season, and in the winter, it can also be accompanied by snow. Blowing snow drifts can cause snow to pile up on some areas of the lawn, while other spots may see less accumulation. This can cause some areas to see worse damage than others. Winds can also lead to downed branches from trees and shrubs. Even if the plant is well-established, this damage can still kill it. To prevent this, pruning before the winter is important. During the season, you may also consider shaking the snow off or gently removing it with a broom. Winter can bring plenty of moisture in the form of frost, snow, and ice, but the cold air that sticks around for months is dry and lacking in moisture. Just like our lips and skin dry out after exposure to the cold, plants will too. The dry air, especially when combined with the wind, can cause plants of all kinds to dry out. Evergreen trees are especially vulnerable to damage from the dry air. One way to reduce the negative effects is by pruning and fertilizing plants before the cold air sets in. Snow can lead to several different problems for plants and lawns. One issue is snow mold growth, which occurs when snow that has accumulated on turf starts to melt. The mold growth leads to patches of brown and pink which kills the grass. In the spring, the grass may need to be raked and reseeded if the damage is too severe. Prevention is the key, and can be handled by properly aerating and fertilizing the lawn beforehand. 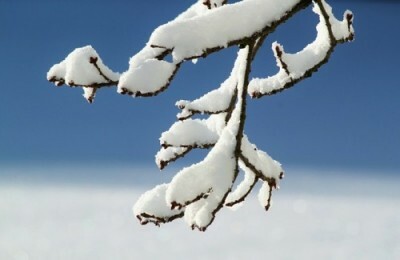 Heavy snowfall can also damage plants and trees. As snow piles up on branches, it can cause the branches to sag and snap under the weight. Again, proper pruning of trees, shrubs, and other small plants is essential in the weeks before the cold and wet weather settles in. By keeping these plants pruned, it will be easier to prevent limb breakage. One of the best ways to keep your lawn and gardens in great shape is by working with a professional landscaper. They have the right equipment, knowledge, and skills to maintain the look and quality of your landscaping throughout the year. Proper prevention can help reduce the damage that cold winter weather can do to your property. When it comes to keeping your landscaping looking its best throughout the year, proper preventative measures and quality care-taking measures are key. By taking steps to protect your lawn and garden, you’ll be able to ensure that the cold weather doesn’t do severe damage to your landscaping during the winter months. The environmentally friendly movement has been gaining momentum for several decades as people embrace “green” lifestyles. Numerous homeowners have discovered that the many benefits of a green roof make it possible to maintain an eco-friendly home, while simultaneously enjoying the luxury of functional fashion. Even though the initial expense of green roofs may be higher than their traditional counterparts, they usually pay for themselves within several years. 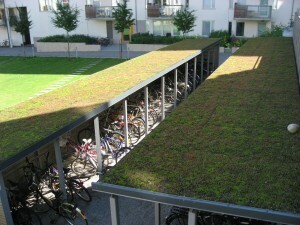 Green roofs create an extra layer of insulation for the dwelling. This means that the property owner can use less insulation, as well as less energy to cool and heat the home. Another significant benefit of green roofs is the fact that they are essentially soundproof. This is highly advantageous for those who live in areas with a considerable amount of traffic or neighborhood noise. Green roofs almost always end up being the talk of the town. Because of their unusual appearance, they draw attention from neighbors and others in the community, and virtually everyone loves their beautiful and unique details. A green roof also enables homeowners to reduce the number of roof drains that are needed or even eliminate them entirely. Although this may not seem like a huge advantage, when drain cleaning time comes, most people find it a major benefit. Another advantage of green roofs is their impact on the “Urban Heat Island Effect.” In other words, the more green roofs that are found in an urban area, the lower the heat island effect. This leads to a decrease in costs for communities trying to meet greenhouse gas reductions and be more environmentally friendly. Green roofs also lower the costs necessary to handle stormwater effects. Green roofs have very little runoff, and therefore create additional space in local storm sewers. Finally, green roofs aid in the production of clean oxygen. With an increasing number of forests and landscapes being destroyed, the need for plants to manufacture oxygen continues to escalate. Providing a roof that can boost oxygen production is an ideal way to ensure that our planet stays green and healthy for many future generations. Green roofs are beneficial for commercial building owners who are looking for ways to be environmentally friendly. For example, they expand roof longevity two to three times. Additionally, they reduce heating and cooling costs and offer businesses up to 15 LEED credits. It is also possible for certain commercial building owners to receive municipality and government incentives for installing a green roof. Ultimately, there is a vast array of benefits associated with eco-friendly roofs. Therefore, those whose goal is to maintain an environmentally friendly home or business have everything to gain and nothing to lose by contacting a qualified professional to obtain an estimate on a new, beautiful, green roof. 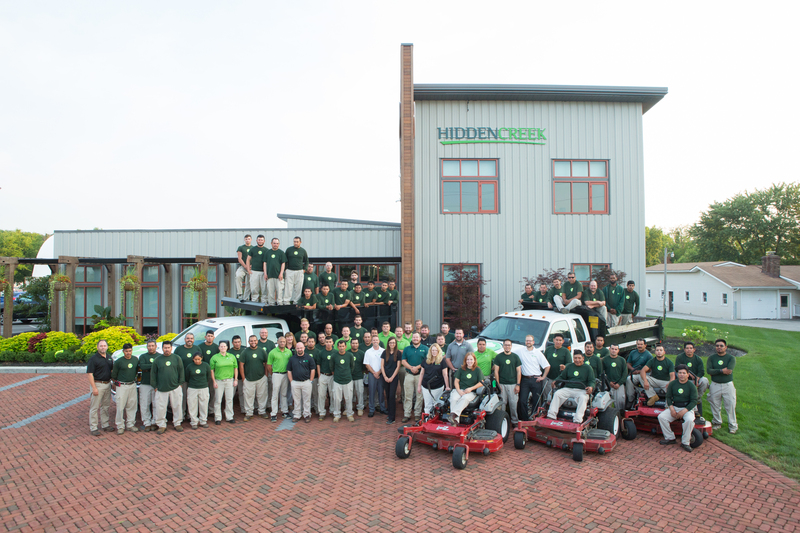 We’re Hiring at Hidden Creek Landscaping! This position is ideal for anyone who wants to become a part of a landscape team in a positive and high-energy environment. In this position, your lighting and irrigation skills will have a significant impact as you assist in growing an entire division. If you have prior experience in creating patios, retaining walls, outdoor fireplaces and kitchens and you are prepared to train and lead others, this could be the position for you. This position also allows you to continue learning new skills and work on creative and award-winning projects. This position is suitable for a person with an ‘artist’s eye,’ who pays attention to the details in every landscape bed you clean up and each line you mow. Our landscape team needs a Grounds Maintenance Foreman to be an energetic team leader to assist us in delivering the professionalism and customer service expected by our clients. If you are fascinated by an opportunity that will provide you with the freedom of working outside and being active and teach you relevant skills to build a landscaping career, this could be the position for you. This position provides the opportunity for you to work outside and be active while learning career-building skills to work in a professional, creative and high-energy environment. To apply to become a part of our landscape team, you can call (614) 721-3225 or complete an online application at https://www.hiddencreeklandscaping.com/positions/.